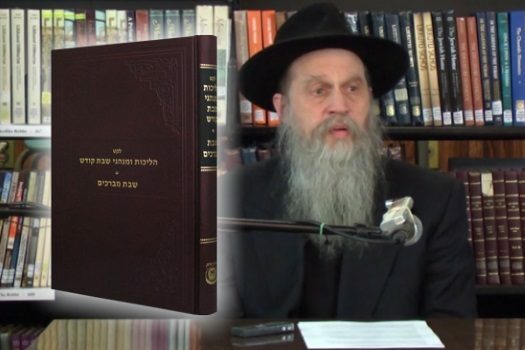 A long awaited book has finally hit the shelves: Sefer Halichos Uminhagai Shabbos Kodesh and Shabbos Mvorchim, compiled by Rabbi Michoel Seligson, is a compilation of the customs of the Lubavitch Rebbe’im relating to all aspects of Shabbos. 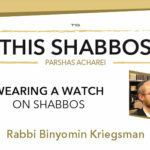 A comprehensive overview, it encompasses the pre-Shabbos activities beginning with Thursday night, detailing the Rebbe’ims minhagim over the course of Shabbos, and Motzoei Shabbos. 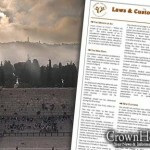 The Sefer includes a large supplement focusing on Shabbos Mvorchim, its customs, and insights. 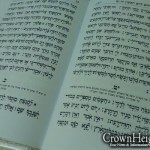 To purchase the Sefer, please click here. Is there any chance this will be translated into English? Ditto, I want one baldly. Rabbi Michoel Seligson is an amazing learned man. He has a wealth of knowledge on Chabad literature and teachings. Chabad should take advantage of such an individual and see that he continue to write and publish many other seforim for Chabad. My wife Rochel and I, are proud mechutonim of Rabbi Michoel and Chana Seligson. Our daughter Shterna Sara is married to our dear son-in-law Motti. Rabbi Seligson is one of the shechunah’s preeminent educators. Thank you, rabbi, for your ongoing Mon. and Shabbos shiurim.